Louise John, Head Teacher Hook School. Matthew Townsend, PLANED. Iwan Thomas, PLANED CEO. Front row: Sally Holland, Children’s Commissioner for Wales with children from Hook School. 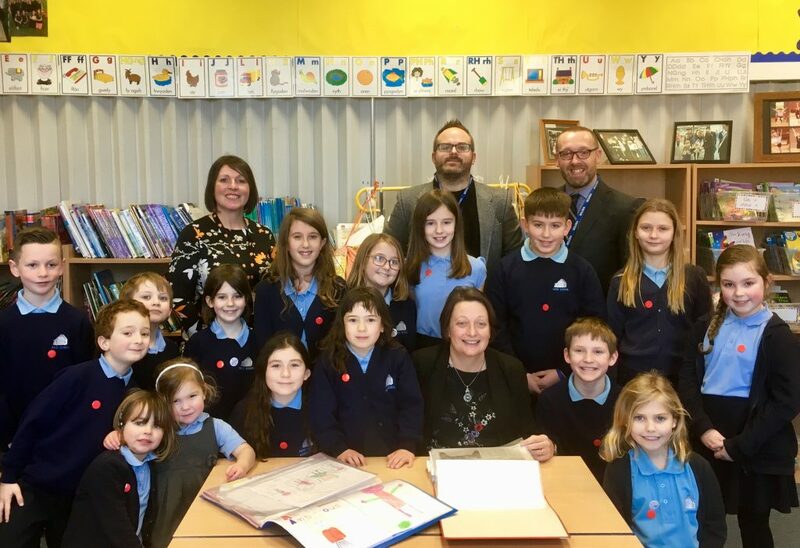 Sally Holland, the Children’s Commissioner for Wales recently met with the team at PLANED to find out more about their work with children and young people in Pembrokeshire. The team at PLANED has been helping to ensure that the voices of children and young people across the county are heard, starting from a local community level. Sally has been the Children’s Commissioner for Wales since April 2015. Her job is to tell people why children’s rights are so important, and to look at how the decisions made by public bodies in Wales, including Welsh Government, affect children’s rights. Speaking about the visit Matthew Townsend from PLANED said: “We are really excited to have met with Sally to discuss the work going on in Pembrokeshire. This ties in with her work to speak up for children and young people on the issues that affect them. This work has been initiated by Matthew who is an Officer working on the LEADER funded Community Well-being and Resilience project that is exploring how town and community councils can build community well-being and resilience, by engaging their communities to develop local well-being assessments, plans and project activities. This is funded through the LEADER programme, which is part of the Welsh Government Rural Communities – Rural Development Programme 2014 – 2020, Funded by the European Agricultural Fund for Rural Development and the Welsh Government.